The Advanced Processor Technologies (APT) group researches advanced and novel approaches to processing and computation. The group is based in the School of Computer Science at the University of Manchester where research into computer technology began more than 50 years ago with the construction of the world's first stored-program computer. Today the emphasis of the research is on identifying novel ways to exploit the formidable complexity of the billion transistor microchips that semiconductor technology will make commonplace over the next decade. Developing the SpiNNaker platform and making it available to the neuroscience and robotics communities, as well as starting the development of the next-generation SpiNNaker machine. Using SpiNNaker to develop fundamentally new ways of computing using many simple processors in a way that is flexible, fault tolerant and efficient. A universal Spiking Neural Network architecture. A Panoramic View of the Many-core Landscape with focus on energy efficient mobile computer vision . Developing the Roadmap for European Technologies in Hardware and Networking for Big Data. Utilising hardware accelerators from Java. 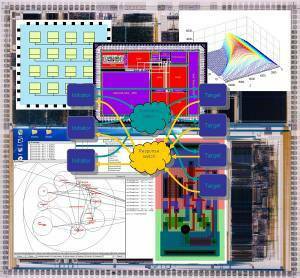 Hardware and Software for chip multiprocessors. Self-timed interconnect for billion transistor Systems-on-Chip. Asynchronous digital and special purpose signal processing. Balsa version 4.0 June 2010 - New release of the Balsa asynchronous design and synthesis tool. Note: This is the last release of Balsa. There will be no further development and future support will be limited.